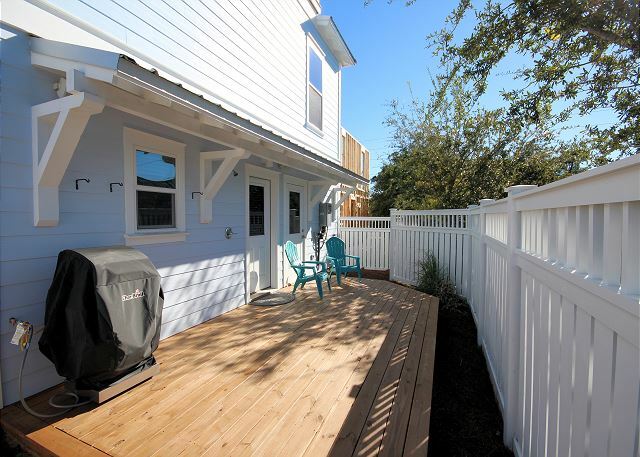 Located in Seagrove, Tide Me Over is a brand new 4 bedroom/ 3 bath cottage with gorgeous tower and ocean views and a BRAND NEW private hot tub just added to the back deck! 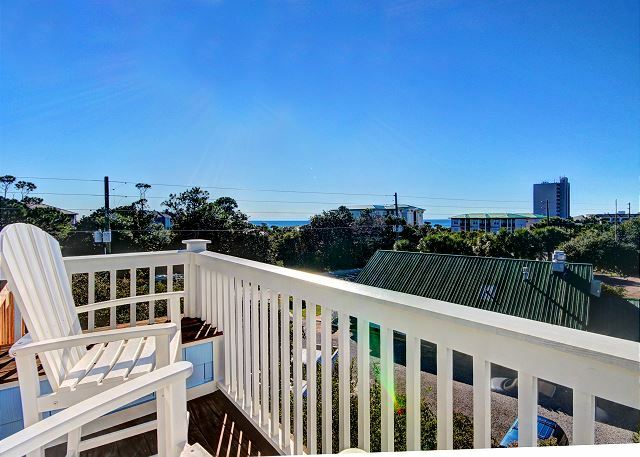 Minutes from the town of Seaside (or just a short bike ride on our 2 complimentary bikes) and right across the street from the beach (4 minute walk to access location), the location for this beach rental doesn't get much better! 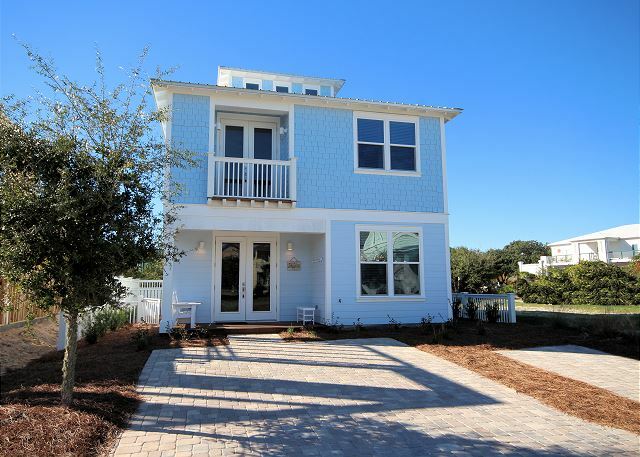 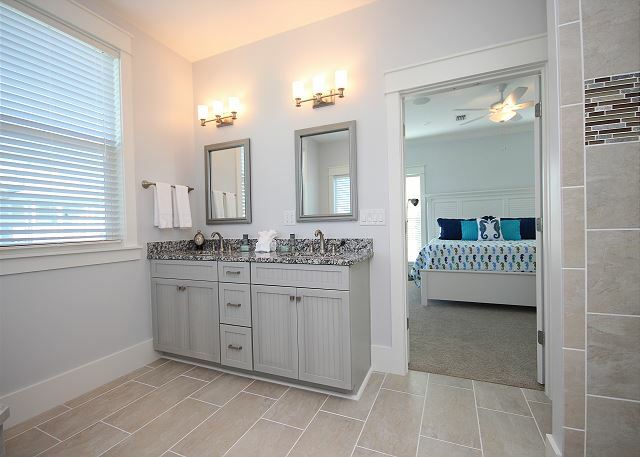 Tide Me Over is a gorgeous custom home with designer features and brand new EVERYTHING! 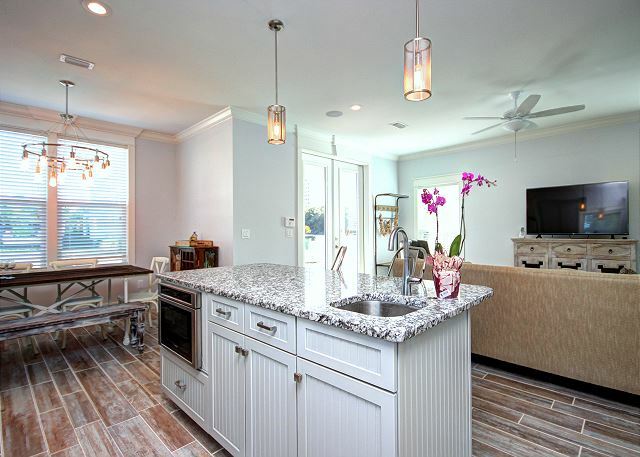 The downstairs of this gorgeous home offers open living and dining spaces, eat-in kitchen with seating for 8, gourmet stainless kitchen with bar seating for 3 more, open living room with lots of seating and a smart TV with Blue ray and DVD. 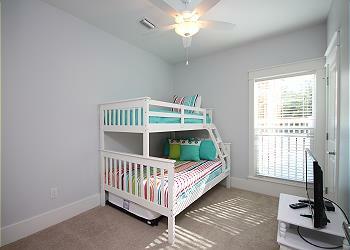 Down a short hallway, you'll find a guest bedroom with bunk beds. The bottom bunk is a full bed, while the top is a twin. 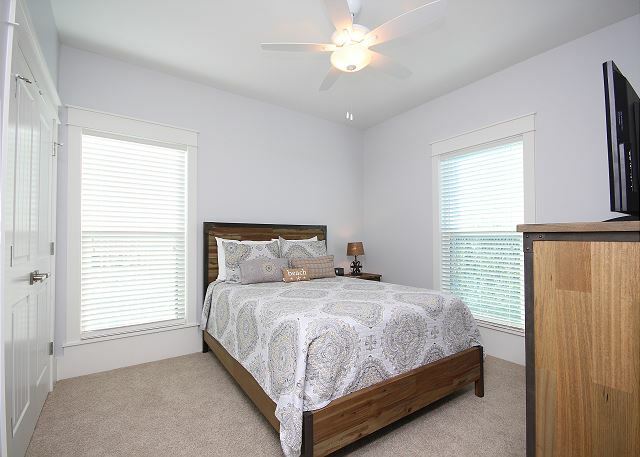 The room can sleep 3 comfortably and has a flat screen. 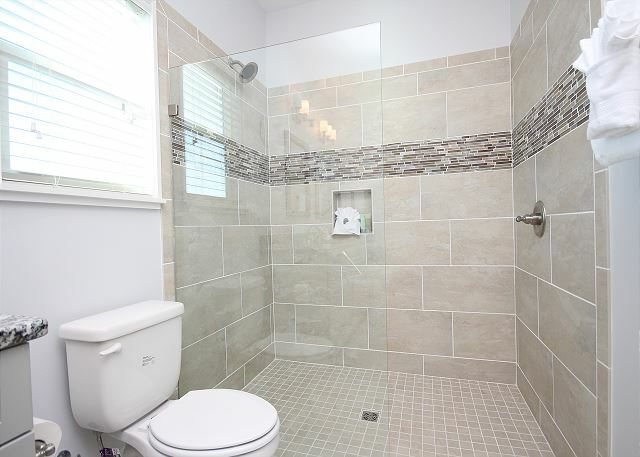 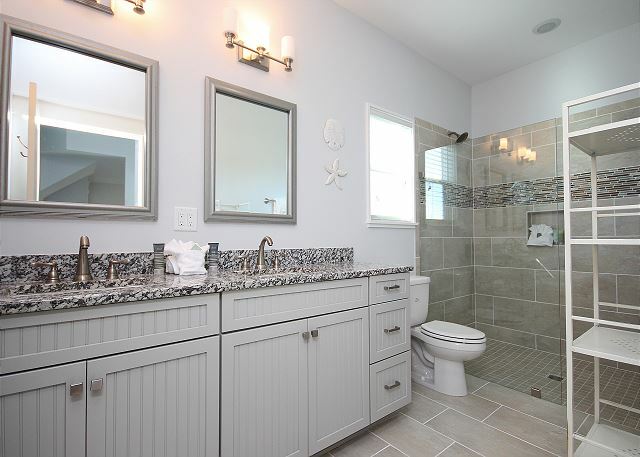 A full bathroom completes the main level. 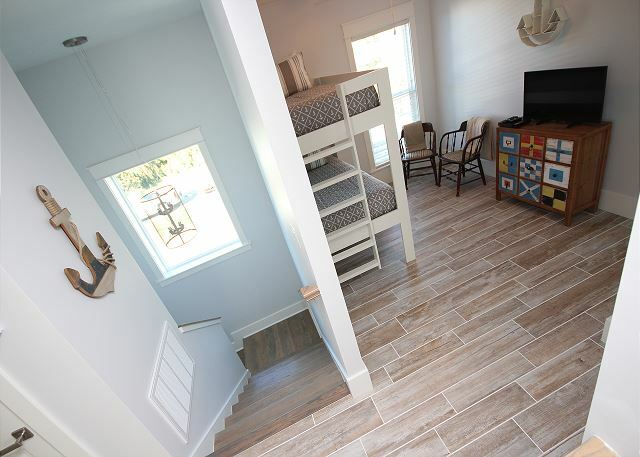 Upstairs, you'll find another bunk bed (both twin beds) at the top of the landing with additional seating and another flat screen TV to offer sleeping accommodations for 2 more. 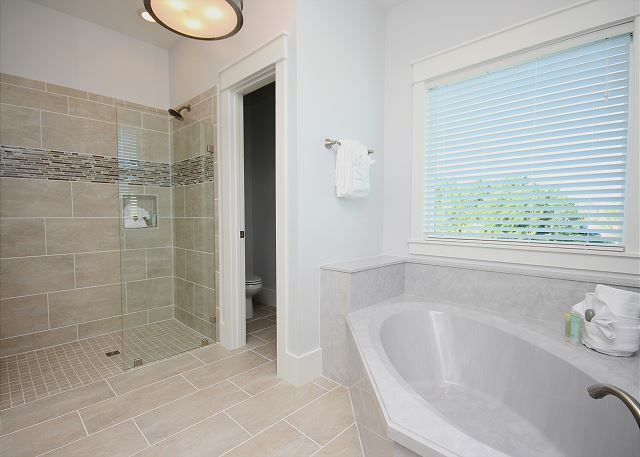 The second floor also offers a KING master bedroom with flat screen TV, walk-in bathroom, dual vanities, garden tub, stand alone shower, and private balcony. 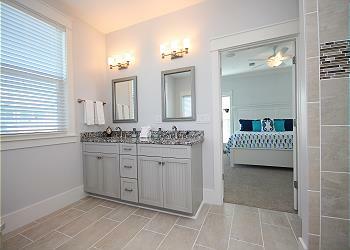 A queen guest bedroom with flat screen is also upstairs with 3rd full bathroom. 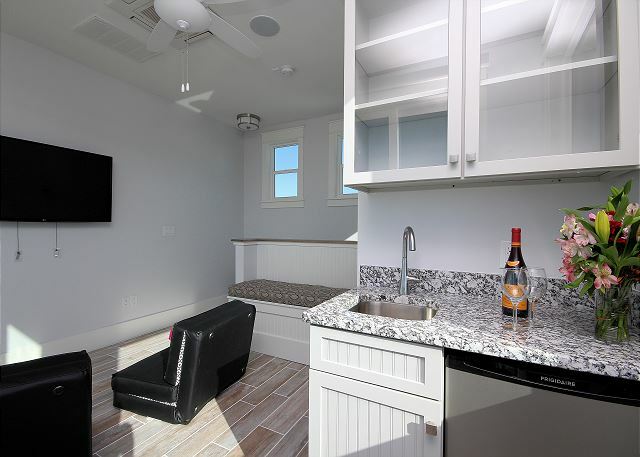 Up one more flight of stairs is your private tower complete with wet-bar, built-in bench for additional seating, flat screen TV with Blue Ray & DVD, and a gorgeous balcony with ocean views!!! Enjoy your morning coffee or afternoon cocktail from the best seats in the house!